Tanzania is a middle-power country with the economy heavily based on agriculture, which accounts for 24.5% of gross domestic product. Maize was the largest food crop on the Tanzania mainland, followed by cassava, sweet potatoes, beans, bananas, rice and millet. Industry and construction is a major and growing component of the Tanzanian economy, contributing 22.2% of GDP in 2013. This component includes mining and quarrying, manufacturing, electricity and natural gas, water supply, and construction. The vast majority of the country's mineral export revenue comes from gold, accounting for 89% of the value of those exports. Tanzania exports also sizable quantities of gemstones, including diamonds and tanzanite. Tanzania's major exports are agricultural commodities with tobacco, coffee, cotton, cashew nuts, tea and cloves being the most important. Other exports of Tanzania include gold and manufactured goods. Tanzania's main exports partners are India, Japan, China, United Arab Emirates, Netherlands and Germany. 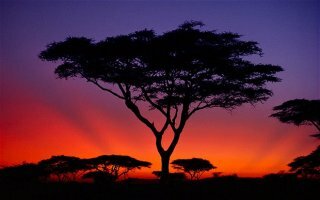 Tanzania is the second largest economy in the East African Community and the twelfth largest in Africa. The country is largely dependent on agriculture for employment, accounting for about half of the employed workforce. An estimated 34 percent of Tanzanians currently live in poverty. The economy has been transitioning from a command economy to a market economy since 1985. Tanzania's history of political stability has encouraged foreign direct investment. The government has committed itself to improve the investment climate including redrawing tax codes, floating the exchange rate, licensing foreign banks, and creating an investment promotion center to cut red tape. Tanzania has mineral resources and a largely untapped tourism sector, which might make it a viable market for foreign investment. Tanzania imports mostly transport equipment, machinery, constructions materials, oil, fertilizers, industrial raw materials and consumer goods. Tanzania's top imports are also refined petroleum, cars, wheat, delivery trucks and hot-rolled iron. Main imports partners of Tanzania are China, India, South Africa, Kenya, Switzerland and United Arab Emirates. 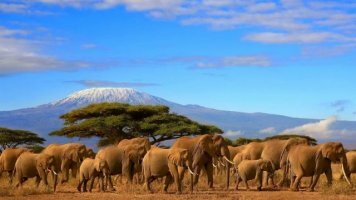 Tanzania is a large country situated in Eastern Africa, bordered by Kenya, Uganda, Rwanda, Burundi, the Democratic Republic of the Congo, Zambia, Malawi, Mozambique and the Indian Ocean. The country is a member of the African, Caribbean, and Pacific Group of States, African Union, East African Community, International Chamber of Commerce, World Trade Organization and other international organizations. Tanzania is a member of the East African Community and as a result rules of origin, import prohibitions, and trade regulations have been harmonized through the EAC. Tanzania applies the EAC common external tariff on imports from non-EAC countries. Import tariffs are levied at an ad-valorem rate on the cost, insurance and freight value of goods at the point of entry to the EAC customs union. Tariffs on textiles, apparel and footwear vary from 0 to 50 %. There is a VAT of 18% on the sale price of locally produced goods and services, and on the customs-duty inclusive c.i.f. value of imports. In addition to customs tariffs, certain imports are also subject to a destination inspection fee of 1.2 percent on the f.o.b. value. The Tanzania Bureau of Standards regulates all standard issues in the country. Product certification and licensing follow international accepted norms. Tanzania follows international (ISO) standards for labeling and marking of imports and does not impose special requirements. Tanzania is largely a cash economy and it is the most popular way to conduct business. Cheques take seven to 14 days to clear through the central banks national payments system and electronic clearing house. For transactions between parties in different cities or regions, direct payments through commercial bank accounts in the form of wire transfers and SWIFT are very common. Cheques are not acceptable for payments above TSH 10 million, but should be made through electronic transfer. The shillingi is Tanzania currency in Swahili language, and in English the shilling sign is TSH. Documentary credits such as letters of credit (LC’s), documentary collections and drafts are widely used for international trade. Cash with order, cash in advance or prepayment are preferred by local traders. Credit accounts are not common in Tanzania. To assure Tanzanian consumers of the safety and quality of imported goods they buy and to protect manufacturers from unfair competition, the TBS has implemented guidelines called the Pre-Export Verification of Conformity (PVoC) to the Standards Programme. The programme requires that all goods exported to Tanzania need a Certificate of Conformity in order to clear customs. Product Data Sheet and/or Product Description specifying the product’s intended use is mandatory. A pro-forma invoice is mandatory; a Pre-Arrival Declaration can be submitted, if available. All labelling of packaging of imports shall be as per the TBS approved Standards. All goods must have 75 per cent shelf life remaining on arrival.